What an incredible honor and we are so very grateful. Thank you for recognizing our commitment to great ballet training/education in an encouraging environment! Great things are happening at The School of Ballet Indiana! 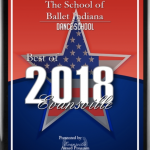 is making such lovely dancers…"
March 15th 2019 - The School of Ballet Indiana.com has been selected for the 2018 American Excellence Award amongst all its peers and competitors by the US Institute of Trade & Commerce (USITC). Each year the USITC conducts business surveys and industry research to identify companies that have achieved demonstrable success in their local business environment and industry category. They are recognized as having enhanced the commitment and contribution of small businesses through service to their customers and community. Companies of this caliber enhance the consumer driven stature that USITC strives to recognize. on Thursdays Levels 1-7. We are so excited to offer this amazing program as an additional tool for amazing technique! We are very proud to offer a certified teacher for this amazing program! Come be apart of what SBI has to offer! June Classes have been released! Dancers can register throughout the session. ”The School of Ballet Indiana”. We have added an additional large dance room, dancer’s lounge, and even a dance boutique, “La Petite Boîte”! We highly encourage our dancers to gain as much experience, education and performance opportunities as possible. SBI strives to enrich the lives of students through the introduction and study of classical dance. In order for students to succeed as dancers, the school assembles a select faculty of highly qualified professionals each year and a curriculum that combines discipline and enjoyment in equal measure. 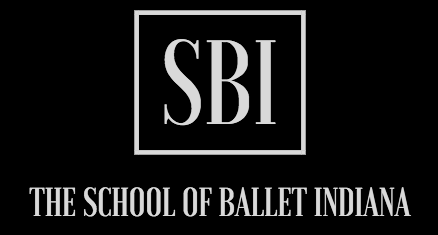 Through quality facilities, a dedicated team and effective programs, SBI aims to challenge each student to their fullest potential and to discover a deeper love for the art of dance. 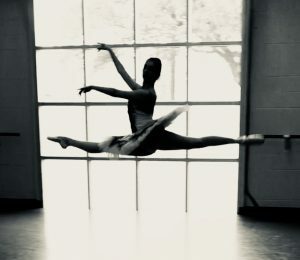 In addition to long-term and short-term training, students of SBI have had the opportunity to participate, successfully, in some of the world’s largest student ballet competitions such as Youth America Grand Prix, World Ballet Competition, Indianapolis City Ballet Dance Competition, World Ballet Competition, etc. Many of our students have placed, not only in the Top3, but also in the Top 12 in Classical and Contemporary. Here at SBI, moving into our new, bright, spacious dance studios marks an important step into our future. Our goals are to remain one of the leading ballet schools in the Tri-State, and to continue to improve our performance everyday. 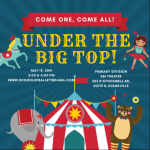 The School of Ballet Indiana admits students of any race, color, national and ethnic origin to all rights, privileges, programs, and activities made available to students at the school. It does not discriminate on the basis of any of the aforementioned qualities or characteristics in its admission of students, educational policies, scholarship programs and the operation of any of its school-administered programs.